I woke up this morning and decided I would do no carbs for the rest of the week since my skinny jeans are cutting off the circulation to my legs from all the donuts, cheese, and chocolate I have been eating lately. 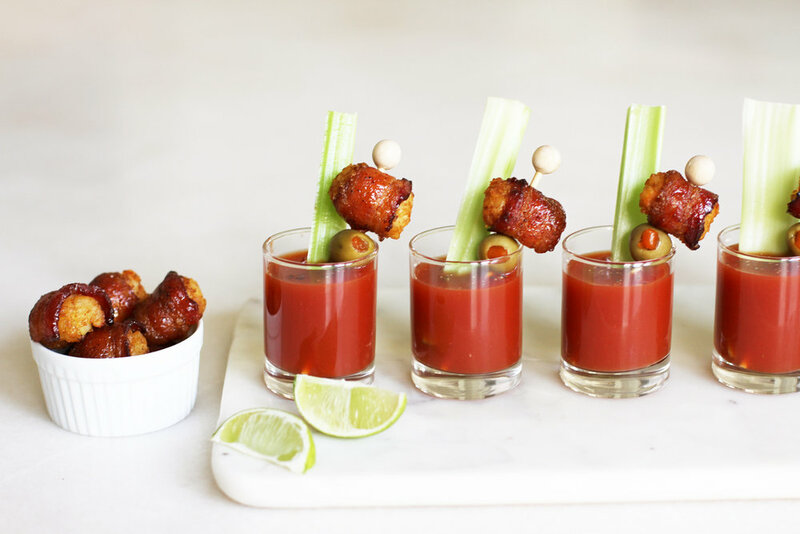 Then Karen came in with this bacon tater tot recipe and I decided life wasn't worth living if I couldn't eat carbs for a couple days so I ate 7 of these and dipped them in my bloody Mary shot glass with extra Franks Hot Sauce. Followed up by a handful of semi-sweet chocolate chips. I then unbuttoned my pants so I could write this blog post and not pass out. These bacon tots are worth every calorie, so make them for your next party, or Memorial Day BBQ, or just because. They are also equally as delicious if you eat them cold with a splash of hot sauce while standing with the fridge door open. 1. Preheat oven to 375°. Line a cookie sheet with foil and place a cooking rack on top of the pan. Set aside. 2. Cut each slice of bacon into 3 even pieces. 3. Mix brown sugar and chili powder together in a flat dish. 4. Dredge bacon pieces in sugar/chili mix. 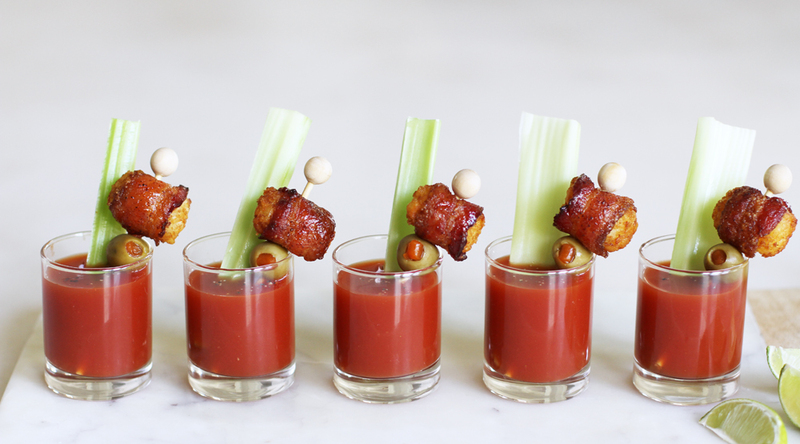 Wrap each thawed tater tot in a bacon slice. Place on the cooking rack seam side down. 5. Bake 10-15 minutes. Bake an additional 5 minutes at 400° until bacon is crisp. 2. Stir and pour into shot glasses (with no ice). Top with a skewer of one tater tot and an olive (if desired).